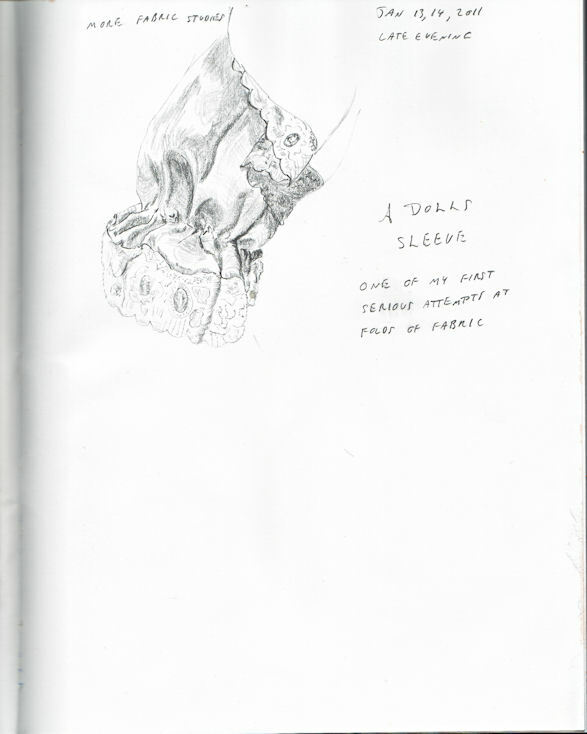 Graphite drawing of a doll's sleeve from my hardbound black journal. It is an interesting line of thohgut that I have contemplated many time during our research. Would you really want to survive a nuclear war, battle for decades just to survive, watch everyone around you die, suffer severe psychological damage?Personally, I would rather die instantly than face the rest of my life in those circumstances.I guess it depends on the particular existential threat and the recovery afterwards.